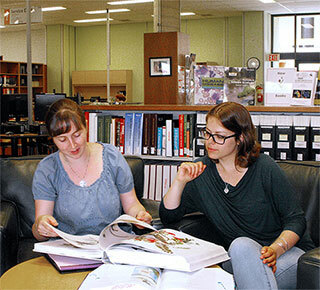 The Science & Forestry Library (SciFor) serves the Faculty of Forestry & Environmental Management and the Departments of Biology, Chemistry, Earth Sciences, Math and Physics. It is located in the IUC Concourse (building 34 on the campus map) at the hub of the various Science & Forestry buildings. Just outside the doors is the IUC Café and lounge. While most governmental publications are now produced digitally, the SciFor Library’s FORF collection consists of governmental forestry reports, mostly from Canada and the United States but a few from further afield. The library has two study areas: a "quiet" side where some quiet conversation is permitted, and a "silent" side. In-person, by phone, or by email, the librarians and staff of the Science & Forestry Library are ready to help with all inquiries.